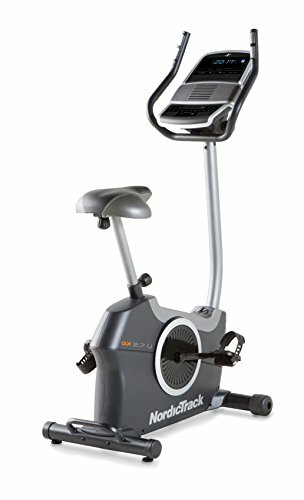 The top end exercise bikes cost well in excess of $500. But, this does not mean you need to spend a huge amount of funds on a bike. You can read this guide to discover which is the best exercise bike under 500 which are perfect for newbie’s and intermediate level fitness fanatics. My personal preference is the Schwinn 230 because it’s a recumbent and I found it both easy to use and beneficial when suffering from a bad back. You can take a look at my review comparison with the 270 here. An exercise bike may not seem as appealing or hard work as an elliptical trainer but they are a very efficient way of working out and improving your overall fitness and stamina. Best of all; you can use the best exercise bike under $500 from the comfort of your own home; even in front of the television if you like. With access to 22 different workout programs you should always be able to find a routine to fit your schedule. There are 20 different resistance levels; ensuring you are challenged as much as you need to be. In addition the ability to record and track two different user profiles will help you to beat your own records. 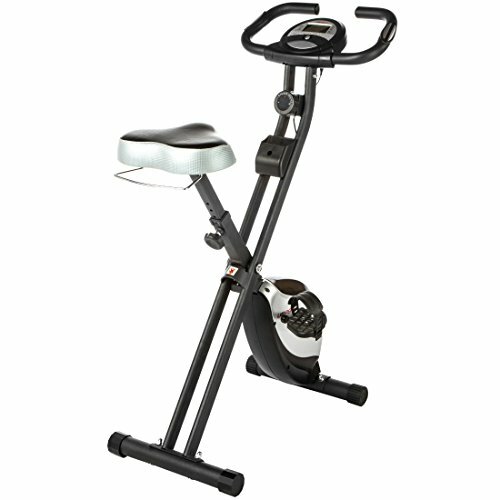 Schwinn is a recognized leader in the fitness industry and this machine continues to do the name proud. The 230 is well built and smooth; you should have no complaints while covered by the extensive warranty. You can access the LCD screen easily while working out and with a quick press of the button check your heart rate, distance, calories burned and your speed. You’ll also benefit from a drinks holder and a cooling fan; just to ensure you have everything you could need to hand. The Schwinn 230 is a recumbent bike, while this means it takes up a little more space in your hoe it is exceptionally supportive when you have lower back pain. Combine this with the walk through style and you can continue to exercise even when your back is bad. This is why it is the best exercise bike under $500 on this list. The seat is oversized and well padded. This makes it perfect for everyone to use as you can exercise in comfort. Although this can seem a small point it will make a big difference the length of time you spend working out and the frequency. A nice feature is the ability to move the console to your desired position. This ensures that you can comfortably see the readout whilst your ride; preventing you from having to stop to check where you are. This does mean that all the members of the family can use your bike. NordicTrack has an excellent record for providing high quality machines. They offer a comprehensive warranty although the machine is very well built; it should give you no real issues. The flywheel is weighted which helps provide a smooth and comfortable ride and allows you to focus on the exercise not the annoying creaks and groans. The bike comes with 20 different work out programs which should help you to get started and stick to your new exercise schedule. 10 of the programs are performance based while the other 10 are calorie based. You can read all the information while you exercise from the onscreen display. It will show you distance, time calories and your pulse as well as the resistance setting. You can even connect to iFit Live to increase the number of workout programs available. While iFit Live is a great feature it does come at a price. Before you can actually use these programs on your bike you’ll need to purchase the iFit module. This will cost you an additional $100. It’s not essential to using the bike but as a nice additional feature it’s a little on the expensive side. There are 20 different resistance levels which sounds pretty good. Unfortunately they don’t cover as big a range as most people will want. At first this will be perfectly adequate. But, as your fitness improves you may find yourself looking for a bigger challenge. Unfortunately it can be adjusted or added to; leaving you with a machine that doesn’t quite fulfill your needs. This is the budget offering on the list. It is possible to pick it up for under $300. However, this does not make it a poor choice. 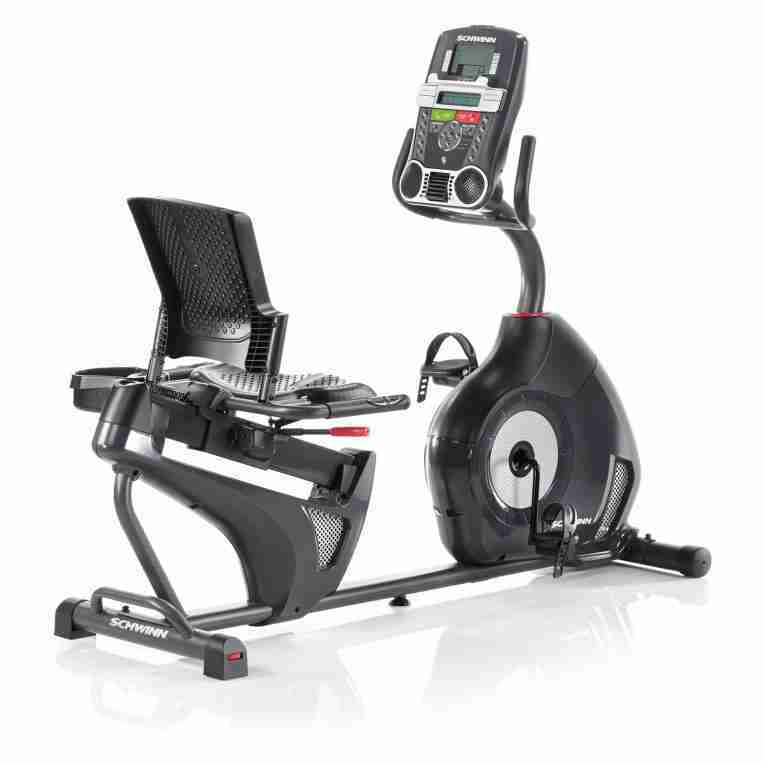 The price reflects a reduction in features which makes this a great choice for anyone starting their fitness journey. The F-Bike is still well built and durable; it should provide you with years of service. This bike can only handle weights of up to 100kg. This is partly due to its size and also thanks to the fact that it folds away. While this makes it great for storage it does reduce some of the strength in the machine; hence the weight limit. With simplicity you’ll get a bike that is very easy to jump on and start pedaling. The 8 levels of resistance can be set in seconds and the bike is quiet enough to be used without disturbing someone in the next room. Of course the fact that it can be easily folded away does make this an excellent option not just for people on a budget, but also for anyone with limited space. This is not a top end bike; it doesn’t have the features that go with the top end. But, it can record your heart rate, calories burned, time riding, distance and your speed. This can all be recorded to allow you to compare your progress on a day to day basis. It is important to note that the screen is battery powered not mains powered. The Ultrasport F-Bike is clearly aimed at people just starting their fitness routine. While this makes the resistance levels understandable it is highly likely that you will find yourself feeling limited in a very short space of time. The lack of challenge could force you to replace the bike with the 230; the best exercise bike under $500 on this list; or simply give up. A side effect of the folding mechanism is that the lowest seat height may not be comfortable or even reachable for anyone 5ft 5 inches or less. This won’t be an issue if you’re taller than that but it is important to note! If you love cycling n the road but need something extra for those cold and wet days the JLL IC300 Indoor Bike is the perfect solution. The direct chain drive helps to give you the feeling that you are actually riding a bike. The resistance is created by a pad against the wheel. This means you have an excellent level of control and again; it feels very realistic. The bike is designed to accommodate people up to 20.5 stone and remain solidly in position. IT is certainly well built. It is worth noting that you can also pedal this bike backwards; engaging the back leg muscles which don’t normally need to do much when cycling. As a fairly large and heavy piece of equipment you’d be forgiven for thinking once it is positioned that’s it. Fortunately this is not the case; it has small wheels which will enable you to easily move the bike round your room or even house. These lock into place to stop the bike moving when you are using it. There are 6 main functions of the easily read monitor. These tell you your speed, calories, time, distance, overall mileage and your heart rate; via the monitors built into the grips. This is all fairly standard on any exercise machine but worth noting. After all you’d be disappointed if they weren’t offered. The seat can be adjusted into any one of 10 different positions. In addition it can be moved back and forth as can the handlebars. Almost everyone should be able to find a position that is comfortable when using this spin bike. It is worth noting that the riding position is intended to be more like a Tour de France racer than a classic exercise bike. Although this bike is very adjustable there have been a number of complaints regarding the comfort of the saddle. Most people simply say it is painful. This is a shame in what is otherwise an excellent spinning bike. It is designed as a spin bike, this means that if you want to adopt a more comfortable stance but still have the feel of being on a real bike, you can’t. The bike is not adjustable enough to give you an upright cycling position which is a shame as it has the potential to be the best exercise bike under $500. There is little doubt in my mind that every one of these bikes can be called the best exercise bike under $500 in their class. 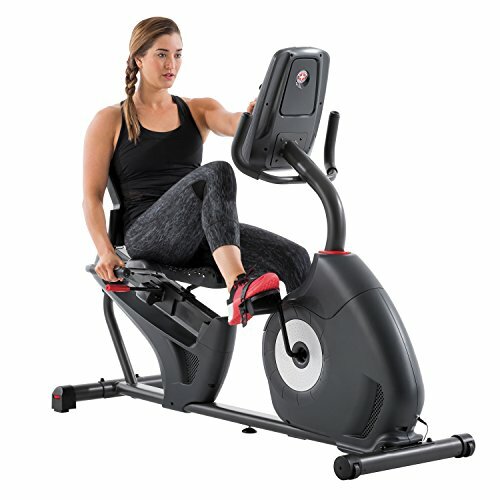 The question is whether you have a bad back and need to purchase the Schwinn 230, are interested in road cycling and want a JLL IC300, looking for a general fitness bike in the NordicTrack GX 2.7 or are simply starting out and want to build a habit with the Ultrasport F-Bike. I choose the 230 every time as it gives the best support and enough features to make every workout worthwhile.